Spur of the moment events are usually the most daring and memorable. It’s 11:30 a.m. and the final step would be taken as I walk towards a pink trailer to check in for my latest adventure, a glider flight. For twenty-minutes I will ride on the wings of the wind and feel my childhood fantasy of flight merge to the present. My adrenalin rush slowed to crawl when I noticed that Joshua, a friend that I brought along, became visibly shaken. He puffed away on a cigarette while pacing back and forth. I will admit that I “forgot” to mention that the adventure for the day involved a motor glider. You would think anyone who survived gunfire, bomb threats and everything imaginable in Iran and Afghanistan would slide by this, but I was wrong. He insisted on sitting this one out and for a moment I would be disappointed but then I realized that it would give more room for me to enjoy the ride! Suzy, the coördinator asked to take a crack at him. She told him of her own fears the first time she went up in the glider and insisted that it all falls away in a matter of minutes. He seemed to consider her words as his breathing slowed and he stomped out his second cigarette. 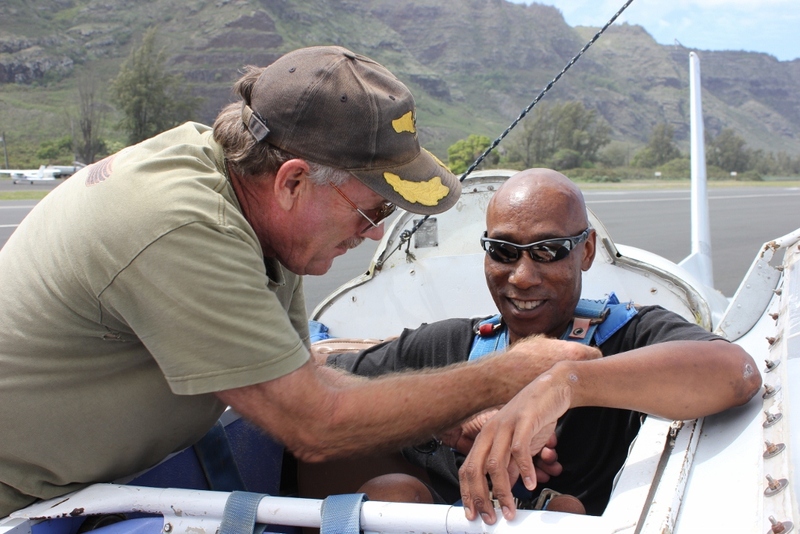 Sally encouraged him to walk out to the tarmac and take a look at the glider up close. Steve, our pilot walked up, ready to fly. With fifty-three years of flight experience and a calm demeanor, I felt at ease. He later revealed that in 1958 his first solo flight took place at the age of fifteen. It was a glider towed behind a car with 400 feet of rope! He walked over to JW and after a brief conversation, we were ready to go. My childhood enthusiasm returned as I clicked away on my camera. The small crew of three turned the glider around into a ready position as well as the truck that would carry the tow cable. Once the glider became leveled, he called JW over. He strapped him in first, possibly to prevent him from bolting. After I gave a loud cheer, it was my turn. I will admit it’s a tight squeeze so make sure you like the person you plan to fly with. Steve entered the cockpit and gave the remaining instructions to the ground crew. 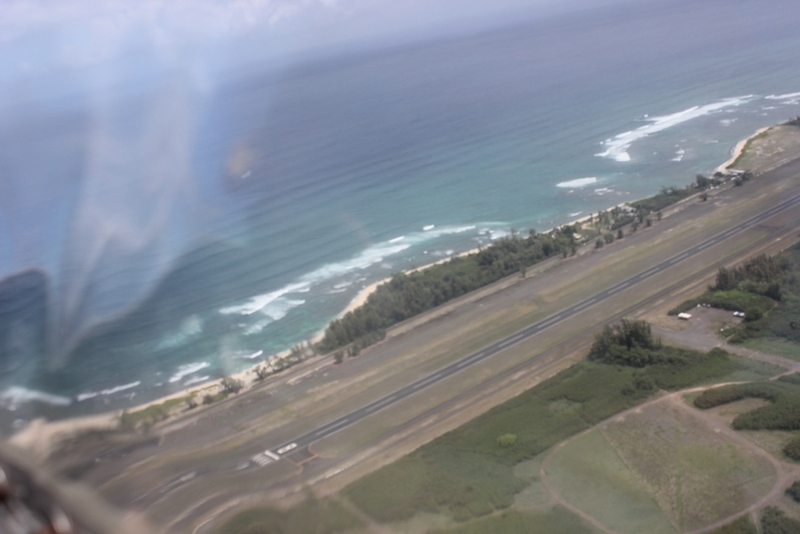 I looked towards JW who was silent but with a glance assured me he was ok.
Acroflight International LLC, at Dillingham Airfield, Farrington Hwy. 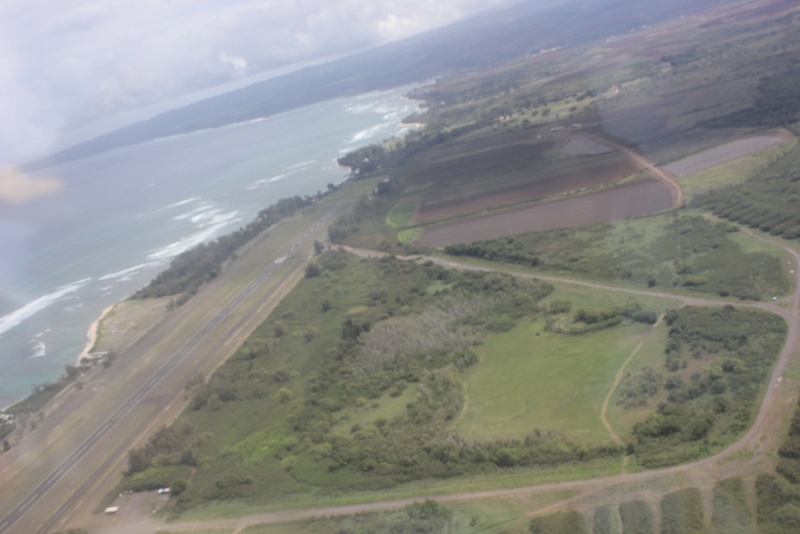 Gate , located in Waialua, HI. They specialize in aerobatic flights for thrill seekers. For anyone interested in loops, hammerheads and rolls, this is the place. 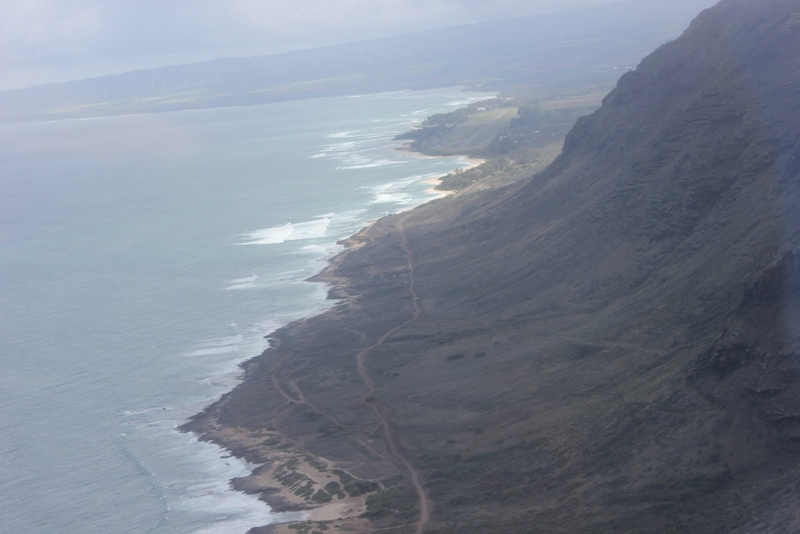 Scenic Motor Glider Flights can take you to the length of the island for 80 minutes or to key points like Mokuleia (15 minutes), Kaena Point (20 minutes) or Sacred Falls (45 minutes) just to name a few. 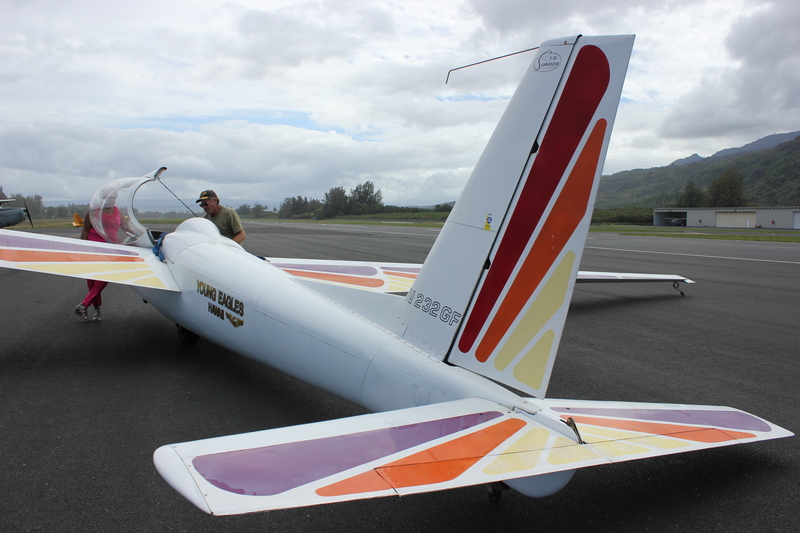 The Scenic Glider Flight (the one I would do) offers two passengers or single glider rides. You can also have a mini lesson. 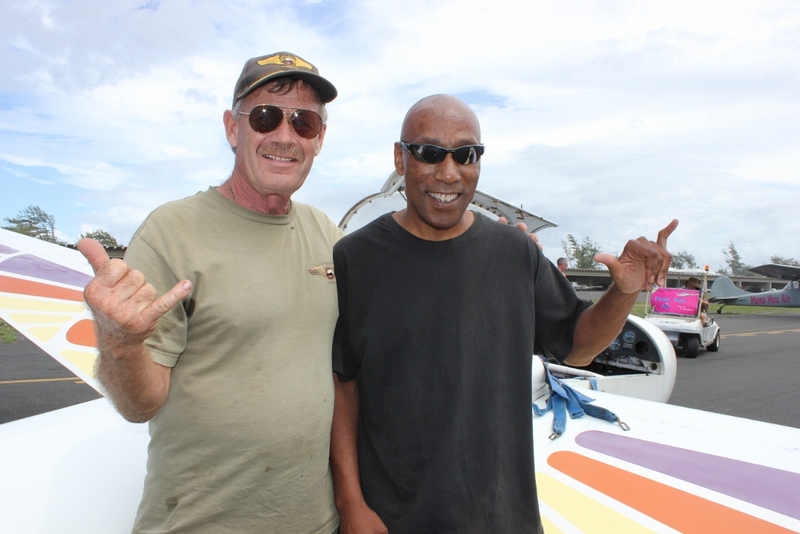 Steve married young and at the age of 38, returned to his love of flying and eventually included work as a commercial flight instructor and bush pilot. He attempted retirement five years ago but out of boredom started the company eight years later. To see the land and the ocean from a different perspective gives way to a fondness of life. The currents dip and push the glider higher then drop us into the arms of the wind. Hiking trails that I didn’t know existed, came into view. I was surprised by the buildings and satellites high on the hills that I partially climbed. I found peace in the glider as we made our way towards the ocean. I clicked away and then relaxed and could not believe the beauty before me. We returned to the mountains and watched the passengers in jeeps and ATV’s look up at wonder at us. I laughed from the sheer energy of it all. We were later joined by two other gliders as we dipped and dived by one another. Before it all ended Steve asked if we would mind a few rollercoaster turns. JW stuttered and I yelled out “Yes!” It was better than the rails. After twenty minutes it was time to return to ground. Disappointment swept over me as the glider began to descend from the sky. The smile that covered JW’s face made the trip worthwhile. The whole event is unusual and worth the money paid for it. I have replayed it in my mind several times and still smile. Steve also gives back to his community with the first Saturday of the month devoted to teaching children to fly. They pay forty dollars, a contribution that goes toward their training. World War II pilots started the program helping Boy Scouts to earn aviation badges. They receive training in ground instruction, on simulators as well as earning time in a log book. Volunteers are Air Force test pilots. Acroflight International host both Young Eagles and Explorers, boys and girls, ages 8-20. Unfortunately, Steve and Suzy are considering selling the business (it’s a lot of work for two people) keeping only the classes for the children. Before that happens, I plan to go for another flight very soon. My mind, body and spirit are in need of free-falling and the beauty below.